Kids' ice hockey has a slam-bang reputation, but this finesse sport isn't all body-checking and knocked-out teeth. It can also be a great way for kids to learn balance and sportsmanship. Is it right for your child? Ice hockey is a fast-paced game in which two teams of six players compete to push a hard rubber puck into the opposing team's goal for a score. Players use sticks or their feet, but not their hands, to move the puck across the ice. A goalie protects his team's goal. Teams can be men's, women's, or co-ed. Youth hockey games have three periods of 12 minutes each (adults play for three 20-minute periods). When Can Kids Start Playing? Toddlers of two and three years old can begin to learn to skate. At about age 4, kids can begin to learn the fundamentals of hockey. Skills needed/used: Flexibility, muscle strength, endurance, balance, and coordination. Best for kids who are: Energetic, team players. Season/when played: Winter; many (but not all) indoor ice rinks are open year-round. USA Hockey leagues operate year-round. Levels: USA Hockey youth hockey classifications for boys and co-ed teams are: Mite — 8 years old and under; Squirt — 10 and under; Pee Wee — 12 and under; Bantam — 14 and under; Midget Minor — 16 and under; Midget Major — 18 and under. For girls-only teams, the levels are 10 and under, 12 and under, 14 and under, 16 and under, and 19 and under. Programs may be recreational, competitive, or select. There are also junior, minor, college, and professional leagues in the U.S. and abroad. Appropriate for kids with special needs: Yes. Players who can't stand erect can play sled hockey, using a specially designed sled to move across the ice. "Special hockey" is for players with developmental disabilities or other special needs. There are also teams for amputees, the blind, and the hearing-impaired. Find out more about all of these at USA Hockey. Fitness factor: High. As in soccer, players are almost constantly in motion. Plus, they wear heavy safety gear. Equipment: Skates, sticks, helmets, uniforms, gloves, protective pads and mouthpiece, and a large bag to transport it all. All this gear can be costly, but parents often swap or sell used items. Skates should be sharpened after about four to six hours of ice time. Costs: Aside from the (often significant) cost of equipment, team or league fees for kids 8 and up can range from $600 to over $3,000 a year. The time commitment required: Games and practices two to three times a week or more. Families with kids on travel teams will, of course, spend additional time traveling to and from games and tournaments. Potential injuries: This is a fast-paced, contact sport, so it can be risky. Most common injuries include sprains (of the thigh, knee, and ankle), concussions, and facial lacerations. Safety equipment and rules help keep kids in youth leagues safer. Since May 2014, the American Academy of Pediatrics recommended that body checking is limited to elite, older players only (those age 15 and up). Get a tip sheet on preventing hockey injuries from the American Orthopaedic Society for Sports Medicine. 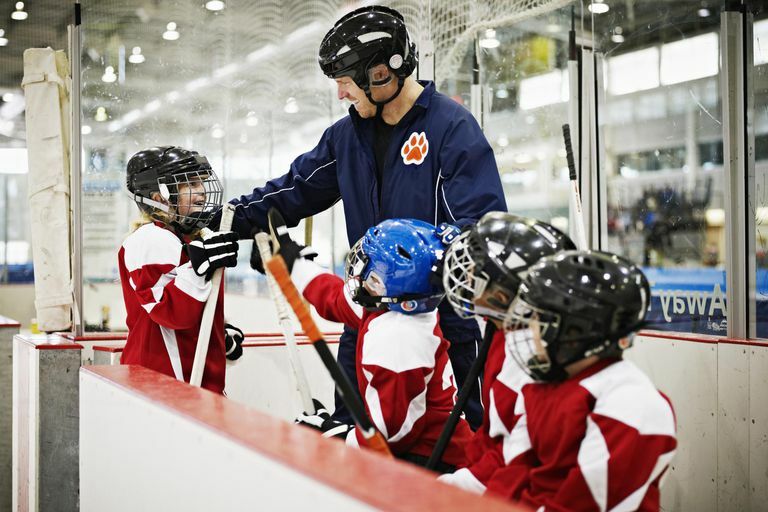 How to find a program: Check with your local parks and rec department or ice rink to see if it offers a youth hockey program. If your child likes ice hockey, also try roller skating or in-line skating; speed skating; field hockey or lacrosse.